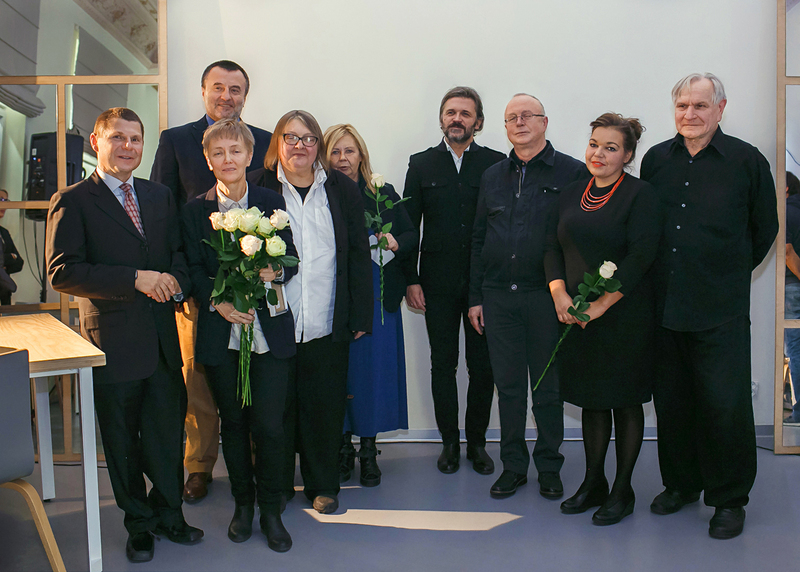 Friday (14th October) witnessed the 14th ceremony of the presentation of the Katarzyna Kobro Award, meant to honour progressive and innovative artists. The 2015 laureate is Jadwiga Sawicka. As it was stressed in the award justification, this distinction was granted to the laureate ‘for her art, the very essence of which lies exactly in the concept. For simple cross-generation, multilayered, emotive and rebellious message’. Paraphrasing her own words, one should say that Sawicka ‘tames, converts and trains’ and - as usual - produces an effect, yet a perverse one. Upon presentation of the diploma, Jadwiga Sawicka admitted: - It is the only award I have always wanted to earn; because of its patron, originators and initiators, because of the earlier laureates. I have observed the list of laureates with growing admiration (...) and because of the Institution granting the award, This [Muzeum Sztuki in Łódź - editor’s note] is one of the most important spots on the map of Polish art. I suspect that nothing better will ever happen to me - she added with a smile. The artist was born on 14th January 1959 in Przemyśl. She studied at the Faculty of Painting of the Academy of Fine Arts in Krakow, under supervision of Jerzy Nowosielski. She creates paintings, photographs, objects, textual installations, referring to mass culture. She is particularly recognizable for her ‘written’ painting. In the 1990s Sawicka used to paint small pictures using pieces of clothing and cosmetics with made-up advertising slogans affixed to them. By the end of the 20th century she created large-format pictures from texts. Muzeum Sztuki in Łódź has organised a number of exhibitions with Jadwiga Sawicka’s participation: ‘Photo Images - Plastic Gesture in Photography’ (2006), ‘Eyes Looking for a Head to Inhabit’ (2011), ‘Correspondence. Modern Art and Universalism (2012), ‘For Encouragement to Museum. Collection of the Łódź ‘Association for the Encouragement of Fine Arts (2013). The Laureate of the 2015 Award was chosen by the Jury, composed of: Ewa Zarzycka (President), Marta Bosowska, Przemysław Branas, and Jerzy Grzegorski. This year’s Award is sponsored by the Polish Guild of Gutenberg's Knights.